NASHVILLE, Tenn. (April 20, 2016) – The National Music Council will bring its annual American Eagle Awards presentation to Nashville, Tennessee, for a second year in a row on Saturday, June 25, 2016. The highly prestigious Eagle Awards are presented each year in national celebration of an individual’s or an organization’s long term contribution to America’s musical culture and heritage. 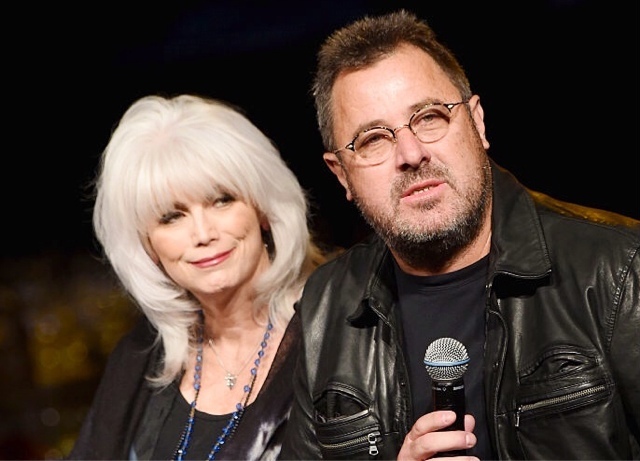 This year, music legends Emmylou Harris and Vince Gill will be honored, along with the iconic Grand Ole Opry. Emmylou Harris is one of the most admired and respected female vocalists in music history. With 13 Grammy Awards and a trio of CMA trophies, her work has garnered admiration and praise from her peers. Beginning with her 1975 masterpiece Pieces Of The Sky, Harris began to carve out a reputation as one of the genre’s most progressive talents – though one with a clear reverence toward the history of the Country format. She made songs by The Louvin Brothers, Buck Owens, and Hank Snow hits again. She also teamed up with Dolly Parton and Linda Ronstadt for the iconic Trioalbum in 1987. Harris was inducted as a member of theGrand Ole Opry in 1992, and into the Country Music Hall of Fame in 2008. Musical artists have come from all over the world for a chance to perform on the stage that is theGrand Ole Opry. Starting as the WSM Barn Dance in the fall of 1925, the show has enchanted artists and fans alike ever since. Legends such as Hank Williams and Patsy Cline have dazzled with their talents there, as have modern-day hit-makers like Carrie Underwood and Brad Paisley. It’s been called the “home of American music” and “country’s most famous stage.” Every year, hundreds of thousands of people make pilgrimages across town or around the world to the Grand Ole Opry to see the show live. Millions more tune in to Oprybroadcasts via a mobile app, SiriusXM Satellite Radio, Nashville’s 650 AM WSM, and on opry.com andwsmonline.com. The awards will be presented at a 1:00 pm ceremony in the Davidson Ballroom of the Nashville Music City Center as part of the Summer NAMM Show. A VIP luncheon and interview/reception with the honorees will accompany the awards presentation. For tickets, schedule, and sponsorship information, visitmusiccouncil.org, or contact NMC Director David Sanders atsandersd@mail.montclair.edu.